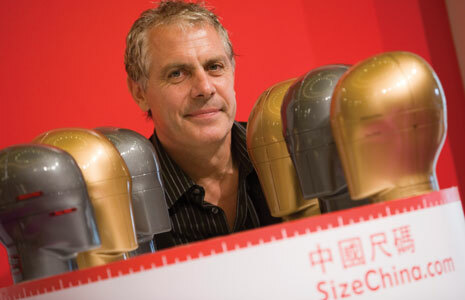 The SizeChina project by Roger Ball, Associate Professor has brought home a coveted Gold Medal in the Research category at the 2008 International Design Excellence Awards (IDEA). The innovative project was also awarded “Best in Show” by the jury. It was the first time in the history of the competition that the expert jury granted two “Best in Show” awards, with the other one going to Apple’s now-iconic iPhone. SizeChina was launched to assemble data from a representative cross-section of people from the Chinese mainland to create the first-ever digital database of Chinese head and face shapes. Previously designs were done with data on Caucasians. With head forms developed by SizeChina, designers are much better equipped when designing for medical, optical, sports, entertainment and communication industries that have an international or Chinese market. Co-sponsored by BusinessWeek and Industrial Designers Society of America (IDSA), IDEA is one of the most prestigious design awards and is dedicated to fostering business and public understanding of the importance of industrial design excellence to the quality of life and economy.